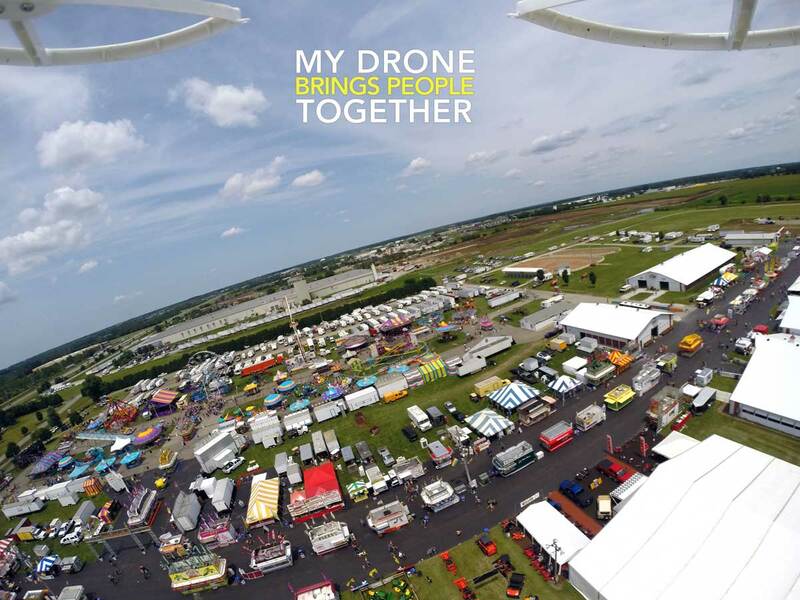 My Drone Brings People Together (2010-) presents interdisciplinary, community-driven, aerial photography and video using custom-made unmanned aerial vehicles and commercial quadcopters. Drones are often seen as tools for military force and surveillance. Our project shifts this paradigm; we use drone technology to engage and serve the public through community-university partnerships, from documenting county fairs, festivals, and parades, to surveying ecological initiatives and construction sites, to Pollock-like painting. This art effort has also bridged disciplinary silos, drawing together artists and engineers through artistic application of highly technical devices. Jeff Will is a professor of electrical and computer engineering at Valparaiso University. He is the director of the Scientific Visualization Laboratory, an undergraduate-focused virtual reality center. Will’s research includes visualization in education, 3D reconstruction from photography and video, the use of virtual environments to enhance student learning, aerial photography, and novel collaborations between disparate fields. Will received his Ph.D. in electrical engineering from the University of Illinois at Urbana-Champaign. Liz Wuerffel is an interdisciplinary artist working in video, photography, and digital imagery. Wuerffel received her MFA from Columbia College Chicago in Interdisciplinary Arts and Media. Her work has been shown near and far, from Chicago’s Woman’s Made Gallery to Hannover’s konnektor – Forum für Künste and Java Arts in Phnom Penh. Wuerffel currently teaches digital media art at Valparaiso University and collaborates with the College of Engineering on interdisciplinary art and engineering projects. She also co-directs the Welcome Project ( welcomeproject.valpo.edu ), a first-person story collection about identity and inclusion.